Write a C program to implement stack data structure with push and pop operation. In this post I will explain stack implementation using array in C language. In my previous data structures examples, we learnt about Linked List (singly, doubly and circular). Here, in this post we will learn about stack implementation using array in C language. Stack is a LIFO (Last In First Out) data structure. It allows us to insert and remove an element in special order. Stack allows element addition and removal from the top of stack. In this post I will explain the stack creation, push and pop operations using array in C language. Following are the operations we generally perform on stack data structure. 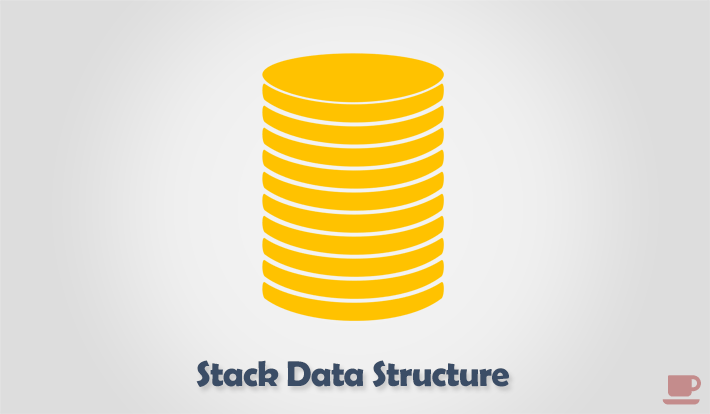 How to create stack data structure using array? The above code creates a stack of integer. Where SIZE is the capacity of stack. As you know stack follows the concept of LIFO. Hence, we will need a variable to keep track of top element. Let, us declare a variable top to keep track of top element. In the above code I have initialized top with -1. Which means there are no elements in stack. How to push elements to stack? Inserting/Adding a new element to stack is referred as Push operation in stack. Step by step descriptive logic to push element to stack. If stack is out of capacity i.e. top >= SIZE, then throw "Stack Overflow" error. Otherwise move to below step. Increment top by one and push new element to stack using stack[++top] = data; (where data is the new element). How to pop elements from stack? Removing an element from stack is referred as Pop operation in stack. Step by step descriptive logic to pop element from stack. If top < 0, then throw "Stack is Empty" error. Otherwise move down to below step. Return the top most element from stack and decrement top by one. Say return stack[top--];. How to find size of stack? Unlike linked list and other data structures. Finding size of stack is straightforward. Size of stack is represented by top. Since we have initialized top = -1;, hence size of stack will be top + 1. Note: Element are always pushed/added on top of stack. And elements are always popped/removed from top of stack. 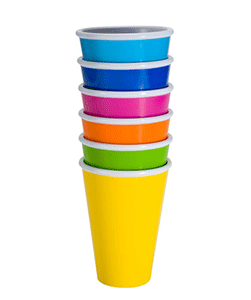 The above image represents stack of cups. You can only add or remove from the top of stack. * Stack implementation using array in C language. * Functiont to push a new element in stack. * Function to pop element from top of stack.